From the state’s first Syrah plantings to the creation of some of its finest wines, Red Willow has made a name for itself in Washington. One of Washington State’s most influential sites, Red Willow Vineyard, sprung up from humble beginnings. Sauer would decide that his place was to grow wine grapes, a relatively novel idea back in the early 1970s. Dr. Walter Clore, considered the grandfather of the Washington wine industry, was exploring areas suitable for different varieties of wine grapes. He said that Sauer’s location looked promising, and partnered with the young farmer to plant a 20-variety test block. They would make wine from the grapes and evaluate the results. Sauer’s early plantings of Chenin Blanc and Chasselas in 1971 were unsuccessful. Two years later, a friend in the National Guard sought to sell a truckload of Cabernet Sauvignon cuttings. Sauer planted his first Cabernet Sauvignon in 1973. Those same vines remain in production today. Red Willow Vineyard, named after a dried-up creek bed located near the property, sits high on a hill at the far western edge of the Yakima Valley. Isolated from other sites by about 15 miles, it’s as iconic a vineyard image as there is in the state. It boasts a stone chapel at the top of the hill, where the Cascade Range and Mount Adams serve as its backdrop. Part of a multigenerational family farm, Red Willow’s history is inextricably linked with Columbia Winery, principally through the work of Columbia’s late winemaker, David Lake. Lake made Red Willow one of the state’s first vineyard designated wines back in the early 1980s. In 1985, when a Seattle-area restaurateur convinced Sauer to plant Nebbiolo, Lake suggested another idea. “He said, ‘Really, one of the great red wines of the world that I think would be better suited to this area would be Syrah,’ ” says Sauer. In 1986, Sauer planted Washington’s first Syrah vines. The results exceeded everyone’s expectations. Today, Syrah is Washington’s third most planted red grape variety at over 3,000 acres, and it produces some of the state’s highest scoring and most distinctive wines. Red Willow Vineyard now has 140 acres planted to 16 varieties. 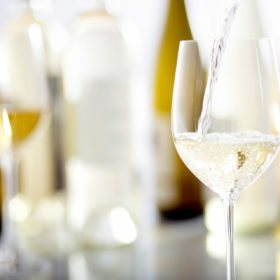 It has pioneered the production in Washington of Nebbiolo, Syrah, Sangiovese, Viognier, Tempranillo and Cabernet Franc. “It was just a desire to find out how each variety would do in Washington,” says Sauer. For many years, the vineyard was used almost exclusively by Columbia Winery. More recently, Sauer has been partnering with other producers around the state. One of them is Bob Betz of Betz Family Winery, who works with Red Willow’s original Syrah plantings as well as other blocks at the vineyard. While Betz says the site is special, he credits much of the vineyard’s success to the Sauer family and their attention to detail. “There’s nobody paying more attention to the character and quality of fruit they grow,” says Betz. The vineyard is now approaching its 45th year, and Sauer recently celebrated his 70th birthday. He says he’s learned a few things along the way. “Start young, live long and have kids that take over after you,” he says with a chuckle. Indeed, three of Sauer’s six children are involved in the vineyard, and his grandchildren represent the fifth generation on the farm. “We’re proud of that,” says Sauer.